Likhwezi (meaning morning star) is an organisation that deals with young people around Khayelitsha, Philippi East, Gugulethu and Langa. The organisation was established by Pamela Mtati in February 2003, as a dancing and singing group and community service organisation. The groups’ collection combines song and dance from a variety of Southern African cultures accompanied by marimbas, drums and percussions. The group also specialises in contemporary dance, Spanish dance, Gumboot dance and Khwela. The members of the group come from different traditionally disadvantaged communities and between them have a variety of talents, qualifications and experience covering teaching, singing and dancing. Some members of the group are still in school and universities doing dance. The project has expanded by working with children who are still on primary level and that also come from different parts of the townships, which are called Likhwezi Juniors. The aim of the leader of the group, Pamela Mtati, is to get the township children off the streets and to teach them singing, dancing, acting and musical skills. The group wants to make the youngsters aware that the arts can and do offer a career and therefore strive to create jobs in the performing arts industry. The group has performed at several corporate 2010 FIFA World Cup soccer events and have collaborated with well-known artists both nationally and internationally. 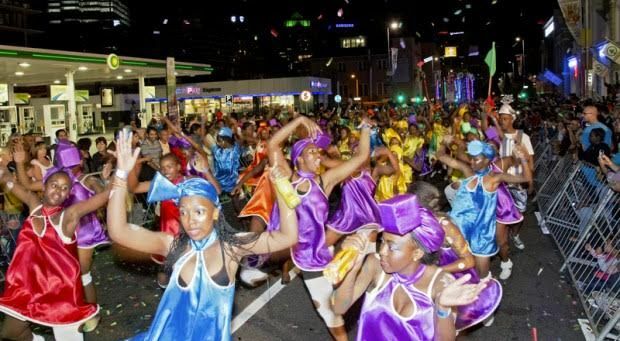 They have also performed in China, as well as the amazing Cape Town Carnival, Baxter Theatre and Artscape.